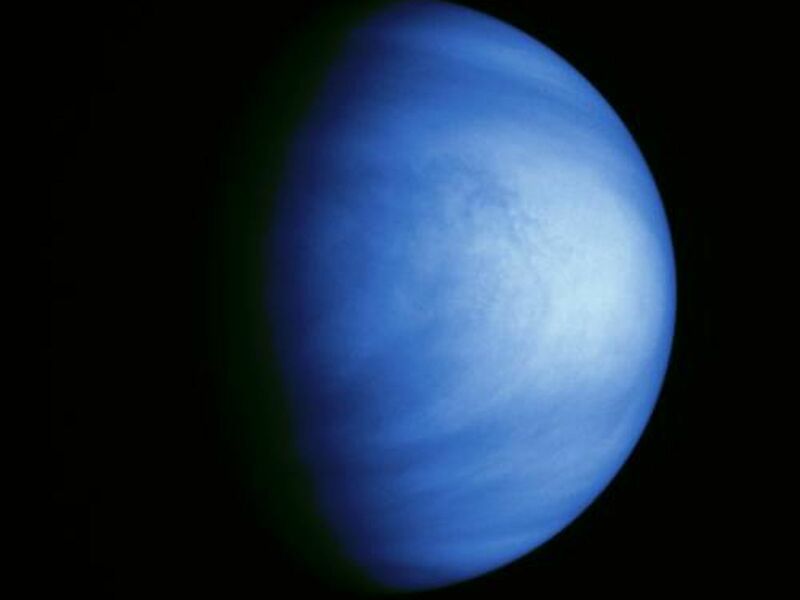 This colorized picture of Venus was taken February 14, 1990, from a distance of almost 1.7 million miles, about 6 days after Galileo's closest approach to the planet. 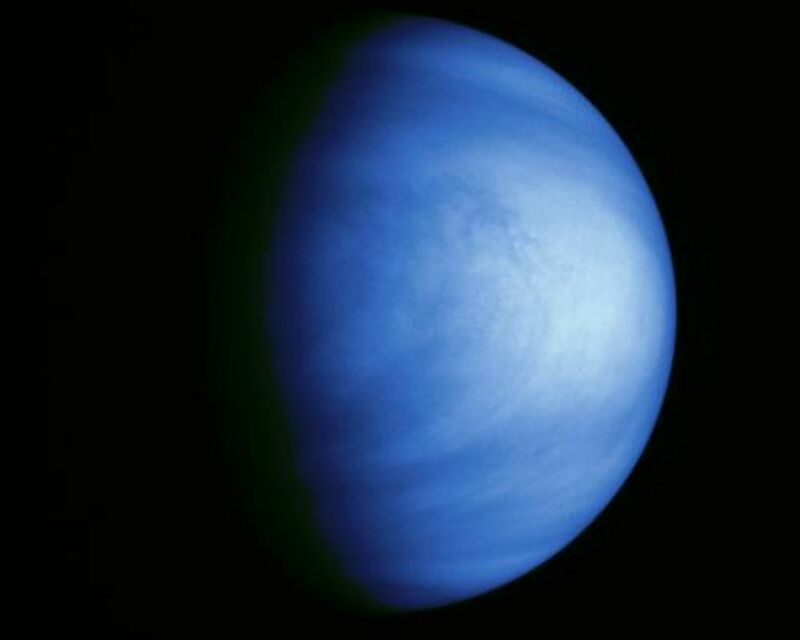 It has been colorized to a bluish hue to emphasize subtle contrasts in the cloud markings and to indicate that it was taken through a violet filter. Features in the sulfuric acid clouds near the top of the planet's atmosphere are most prominent in violet and ultraviolet light. 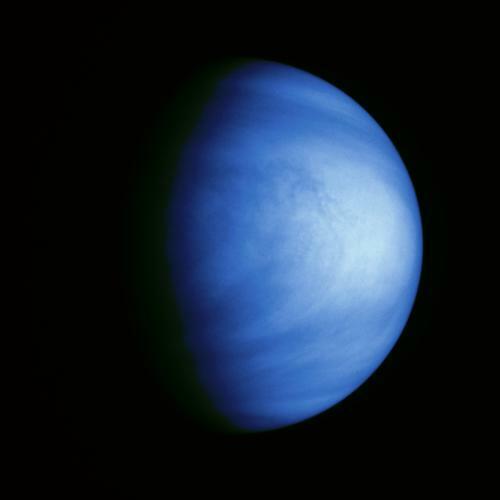 This image shows the east-to-west-trending cloud banding and the brighter polar hoods familiar from past studies of Venus. The features are embedded in winds that flow from east to west at about 230 mph. The smallest features visible are about 45 miles across. An intriguing filamentary dark pattern is seen immediately left of the bright region at the subsolar point (equatorial 'noon'). North is at the top and the evening terminator is to the left. 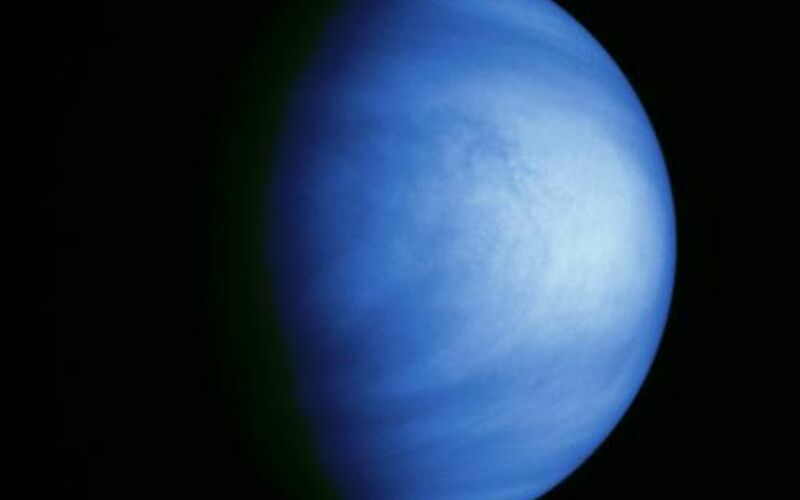 The Galileo Project is managed for NASA's Office of Space Science and Applications by the Jet Propulsion Laboratory; its mission is to study Jupiter and its satellites and magnetosphere after multiple gravity-assist flybys at Venus and Earth.